Colorized is the truly social sketching app that lets you and your friends sketch what’s around — or whatever’s in your head — and then remix every sketch you see. Find what your friends are sketching, and throw a new twist on that self-portrait of your boss. Or that sweet dragon your buddy drew. Or those kicks your cousin just scored (they were obviously the wrong color). Whatever you find, you can redo. Each remix gets grouped with its inspiration, so you can hold ongoing sketch battles between friends and always flip to what happened previously. * Place stamps on your sketches, including mustaches, monsters, and more! We love watching what the Colorized community creates! Tell us what you think should be the next great tool or feature by pressing the Feedback button under settings, or by dropping an email to feedback@happinessengines.com. * Stamp tool: the fastest way to add personality to your sketches, including everything from monsters to pandas to monocles and mustaches. More to come! Simple to play, hard to put down, highly addictive, it will challenge your brain ! Roll the balls towards their correspondingly coloured mushrooms. The balls can only move in straight lines and will only stop when they hit something or another ball. Place your balls strategically to solve the puzzles. All balls must reach their correspondingly coloured mushrooms to clear a level. If you love puzzle games and you’re looking for something fun and rewarding, challenge yourself to a game of Hairy Balls. ✔ 3 level packs each introducing a new game mechanic. 66 levels with increasing challenges. An additional 66 levels are currently being produced. ✔ iCloud integration. Levels are unlocked automatically across all your devices (iPhone, iPad). ✔ Challenges your brain, develops your planning and spacial reasoning skills. ✔ Quirky characters and backgrounds and an original soundtrack. – New levels! We have doubled our level count, adding a mix of easier and more challenging ones. This brings the total amount of levels to 132! – All bundles are unlocked! You can now try out any of the bundles without having to complete the previous ones. – As a big thank you for your support, we have given everyone a ton of free hints and doubled the hints you earn through supporting us! – Ludicrous amount of hints, great value! Create beautiful, social websites. In 60 seconds. From your iPhone. Zapd is the original iOS website builder. 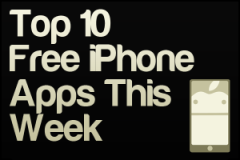 We were an App Store Rewind 2011 list, an Apple Staff Pick, App of the Week and a Top Ten App in 20 countries! Zapd is a super simple and fun app that lets you create instant, themed websites straight from your iPhone. Just select a theme and then add photos, text, or links and you’re done! 1) Collaboration. Yep. Start a Zap, invite your friends and you can all make the same website together. Everyone can add content from wherever they are. Perfect for any event. 2) Social is built in. Anyone can follow you. You can follow anyone else. When you make an update to a Zap, your friends will know! 3) Discovery. A new “Zap feed” is built in so you can discover new and cool Zaps from all over the world. 4) New Zapd themes each month! Right from the app, you’ll be notified of new and premium website themes as they come in. 5) Made for mobile and tablets. Each Zap you make automatically reformats itself for the device on which it is being viewed. You don’t have to do a thing. It just works. And, of course Zaps look great when viewed from a laptop or desktop computer! NowThis News brings you the latest scoops on the most buzz-worthy and shareable video news! Laugh, cry and always be up to date wherever you go. Download the NowThis News app to get an original video experience: breaking news, entertainment, politics, technology and the latest on our most defining moments. Have questions or feedback about the NowThis News app? Email us at feedback@nowthismedia.com. We’re going to continue improving the app experience to bring you the best news built for mobile and social. We really want to hear your suggestions. Featured AppsGoneFree. Your daily free app resource. I am definitely excited about this project and want to continue improving it as much as possible. I’ve already added many features based on feedback I’ve received and I’m always appreciative of new ideas that fit the vision and feel of this app. Please feel free to leave ratings and reviews however you feel and I will do my best to respond with updates! – all new rendering engine OpenGL-based engine using shaders for smoother drawing and no lag! – zoom or drag trace in/out from edges of device so can draw across whole surface! – faster/auto-saving so you don’t lose your drawings! – “Open With…” to open your traces straight into other programs for finishing touches! Please note, I’ve worked on updating all performance issues, if you still have any please send me feedback from the app in addition to on the app store. I couldn’t reproduce any performance issues on the iPad3 as in one of the reviews. Never miss a bill payment again – pay & track all your bills for FREE! Get bill reminders and see your bank, credit cards & investments – in one simple place. Award-winning & trusted by over 7 million people! Get a high-level overview of all your bills, bank account balances, and credit cards – or drill down to see due dates, transactions, and even pay your bills – all from one simple place. Get real-time alerts and reminders about upcoming bills that are due, overage charges, suspicious transactions, and more. 1. Download Pageonce – it’s free! Pageonce adheres to the highest standards in security in order to keep your account safe and secure. We meet the toughest requirements set by the most reputable security organizations out there, like Trust-e, VeriSign and McAfee. Pageonce is dedicated to providing you a great service, with the peace of mind that your account is safe and secure. Even more, if you lose your iPhone or iPad, simply log-in to the Pageonce website and deactivate access from your device(s). Parties, holidays, trips and family events – you’ve got a ton of photos on your phone just waiting to be turned into something incredible. Choose your photos, video clips, music, and video style. Within minutes, you’ll have an amazing video slideshow you can save and easily share with everyone. Send three gun-toting agents aboard a locomotive packed with zombies, robots, ninjas and relentless boss battles. Get trigger-happy with an arsenal of upgradable guns, drones and gadgets to complete missions and cause as much carnage as possible to rack up a high score. Choose from a trio of agents to send on a rampage of destruction into the fray against unending hordes of zombies, robots, ninjas and relentless boss battles in this explosive, guns blazing side-scroller. Take to the skies with a jetpack, use vehicles of mass destruction and the extra firepower of drones to storm the train in style and rescues hostages and complete your mission objectives. Wave Timer is not your ordinary kitchen timer. Wave Timer is something new… Wave Timer is a hands free timer, allowing you to turn off the alarm with the wave of your hand. With Wave Timer, you never have to touch your phone to disable the alarm, just wave off it off! No more getting your phone dirty as you cook, clean, exercise, or do just about anything where your hands may be busy! Wave Timer is a revolutionary timer application that will change the way you do everyday activities! Utilizing Motion Control and detection, you never need to touch your phone again to turn off the alarm, just wave your hand over the device when the alarm is sounding, and Wave Timer will silence the alarm for you! Try Wave Timer and you wont go back to those other ordinary timer apps ever again! SPECIAL FREE EVENT FOR A VERY LIMITED TIME! iOS 6 requires turning ON in “iPhone’s Settings – Privacy – Photos – HDRFX” in order to save photos to Camera Roll. HDR FX will change your lifeless photos into living and impressive moments. A magical experience will be shown on your phone. Sceneries in travelling, beautiful sky around sunset, first snow near daybreak and so on…No matter what is taken, the magic promises more beautiful and breathtaking photos. ◆ HDR FX meets Instagram! You can share awesome photos from HDR FX to Instagram. 42 different HDR Preset is provided in three themes : Scenery, sky, and ground. You will experience a high quality of editing such as choosing Single-Photo HDR highly matching to each photo, saving immediately, and even editing more details. ◆ Limitless combinations of HDR effect! You can simply apply a preset by choosing out from the filter list. Moreover, with the use of Shuffle button in HDR Lab, you will have unlimited photographic effects with various detail settings. As soon as a photo is loaded, HDR FX automatically analyze the photo and recommend presets highly matching to it. Bonus Tip – If you pull down the list, the presets in a numerical order will be sorted by frequency. You can use HDR Lab with a preferred setting! You can make your photo the most natural as you control Highlight, Shadow, and Opacity of a preset you choose. HDR FX makes sky and ground which are important points in a scenery photograph stand out. A beautiful sky view of sunset can become more beautiful, showing the awe of the nature. ◆ Elaborate photos with Textures! You can elaborate the beauty of sceneries with an addition of textures. Moreover, with the use of shuffle function you can express varied styles of one texture and also control the opacity of the texture. Complete edition with putting a photo in a frame! Borders, which make your photos look more stylish, are provided. You can import a photo from Facebook, which we use every day, and edit it in HDR FX. HDR FX is designed for everyone to use all the editing features conveniently. We are waiting for your feedback 🙂 Thank you! Hope you enjoy HDR FX magic! : Sending to Instagram and other apps!